Which is the Best Hawaii Island to Visit? Updated 10/2018. We couldn’t be more excited about all of you visiting Hawaii in 2019 with all of the amazing Hawaii deals about to be released. So today is a great time to start planning which islands you’ll be visiting. Conde Nast Traveler readers choice awards recently picked Maui 2nd, Oahu 5th, Kauai 7th, Big Island 8th and Lanai 9th among all islands in the US. When choosing the best Hawaiian island for your trip it’s just hard to go wrong. For some readers is comes down to best value in airfares and accommodations. For others it is about personal favorite islands and for others its about the different experiences available. We address both below. In the end it comes down to expectations and having some understanding in advance of what’s unique about each island. But that having been said, we’ve also seen visitors who weren’t entirely happy with their choice choice of islands. 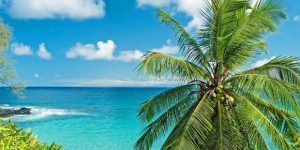 Oahu: one of the best choices for travelers looking for variety, value and choice including beaches, activities, nightlife with a distinct city experience. 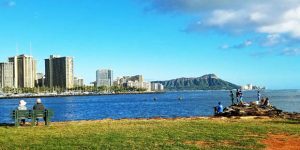 Deals for Oahu – Honolulu will continue to have good deals in 2019 and the most nonstop flights, including wide-body’s. And the second-best airfares, following Maui. Recommendations for Oahu – Kaimuki neighborhood for shopping and dining, touring the Doris Duke “Shangrila” Estate, swimming at Sans Souci Beach at the Diamond Head side of Waikiki, the white sands of Waimanalo Beach, a picnic lunch at Spalding House (Contemporary Art Museum) and Iolani Palace for a history of the Hawaiian monarchy. For activities, you can read how we went nuts and found excellent value with the Go Oahu card. Hawaii’s only real city is an eclectic blend of cultures, nature and activities. You’ll often find some of the best deals on airfares (but not always), with the largest range of accommodations and prices. It’s the island where 80% of our state’s population live. You’ll have an endless supply of things to do which includes excellent shopping, major museums, unlimited and quality dining and good entertainment. Oahu is home to renowned Waikiki Beach, great surfing for all levels, snorkeling at Hanauma Bay and historic Pearl Harbor. For a more laid back lifestyle, drive to the other side the island where a more rural environment exists. Waikiki offers the greatest choice in value Hawaii hotels. Maui: a top choice for Hawaii deals. Plus it’s a good mix of rural and city with spectacular beaches, an interesting blend of action and relaxation, and tremendous variety in all regards. Deals for Maui – Maui will benefit from new west coast flights from Hawaiian Airlines. That will increase competition and continue to make Maui the best island overall for Hawaii deals. Recommendations for Maui – Makena Beach as well as Wailea Beach (and in fact all of the south Maui beaches). Also the circle drive of West Maui. The second most populated island has something for everyone, which often makes it a great pick for multi-generational families with children. Famous resort locations along South Maui and West Maui include Kapalua, Kaanapali, and Wailea among others. These also feature some of the islands most beautiful beaches with views to neighboring islands of Lanai and Molokai. To escape the crowds, head upcountry including amazing Haleakala National Park or east to beautifully remote Hana. Some of the best cheap flights to Hawaii are found between the west coast and Maui. These are at times even less expensive than flying to Honolulu. Nightlife, resorts, white, black and red sand beaches, Maui has it all. Big Island: larger than all of the other Hawaiian Islands combined, with a unique landscape sculpted by major ongoing volcanic action. Deals for Big Island – Kona may see new flights added in 2019 courtesy of Hawaiian Airlines and their new narrow-body fleet of A321 planes. 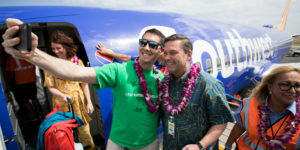 As a result we expect to see improving deals to otherwise expensive Big Island across multiple airlines. Another factor impacting Big Island travel is the recent volcano eruption. While that should not in any way interfere with a Big Island vacation, there has been some softness in Big Island bookings and, as a result, some better pricing. Recommendations for Big Island – the eerie, historic Mookini Heiau, Hapuna Beach, art tour at the iconic Mauna Kea Resort and Hilo Farmer’s Market. Also visiting Volcanoes National Park by land or see, as is possible depending on volcanic conditions. Big Island is vast, diverse, and magical. You’ll need some extra time to drive around and experience all it has to offer. Highlights of the Big Island include Volcanoes National Park, Kona town, renowned resorts of the Kohala Coast, and coffee plantations in the Kona and Kau areas. Also beautiful waterfalls including Rainbow falls, ancient Hawaii fish ponds, and charming Hilo town. Kauai: iconic tropical scenery, rural charm, resorts and great beaches. 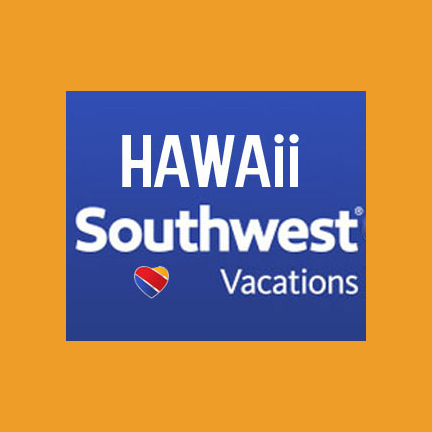 Deals for Kauai – More flights have already been announced and new ones will be added by Hawaiian Airlines and Southwest, among others. We are seeing significantly improved pricing to Kauai from multiple west coast cities from San Diego to Seattle. LA to Kauai flights are intermittently at the lowest levels seen in years. Recommendations for Kauai – Mahaulepu coastal walk starting at Shipwreck Beach, biking the Kauai Path from Kapaa to Donkey Beach, swimming at Hanalei Bay in summer and the Sunset Tour of the Allerton Estate at the National Tropical Botanical Gardens (NTBG). Kauai still retains much of its rustic and sometimes funky charm of yesteryear, with spectacular natural wonders that include North Shore Kauai and magnificent Hanalei Bay, Kokee and Waimea Canyon State Parks, and South Shore Kauai and its beautiful resorts along the Poipu Beach coastline. This is a perfect place for anyone who loves the natural experience of the outdoors and hiking above all. Lanai: A world-class resort. 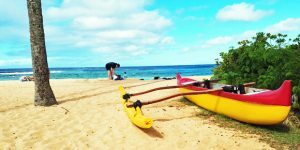 | Molokai is a return to Hawaii of the past. Deals for Lanai and Molokai – neither island has or will have direct service to the mainland, so deals are limited to those for Honolulu or Maui. Recommendations – Kalele Bookstore in Kaunakakai, Molokai, and taking the ferry between Maui and Lanai. Both of these islands are a real step back in time. Molokai highlights include a visit to the historic Kalaupapa leprosy settlement, incredible beaches, and the Coffees of Hawaii Molokai plantation. Neither island has mainland direct flights so you’ll pay somewhat more for the quiet life. Lanai may continue to evolve with owner Larry Ellison at the helm. A go to source for Hawaii destination information is the Hawaii Revealed series of guidebooks, both online and in print. Lastly for the first time visitor who would like to visit multiple islands, read our better-than-expected review of the all-Hawaii NCL Pride of America cruise. Getting close to peak season, and lots of travelers headed to the Big Island (myself included). Could you start a new article on HVNP – what’s open, what’s not, what’s still worth seeing? The HVNP telephone service is vague and their website isn’t too helpful either. We all value the B.O.H. perspective and honesty, so hopefully this is something you can share with us through an updated post, etc. thanks! Yes we’d like to do that. Unfortunately we don’t have plans to be on the Big Island right now, which would be the best way to do a good job. If we can we will. Have you checked travel forums for updated info? Not sure how to find that or whether guidebooks would even address that question. You might just need to call around. I love the road to Hana… it’s the one thing I recommend to everyone. Yes it will be more crowded in mid-June. We find a car highly desirable for Oahu. On the other hand, parking can be a real hassle and expense in Waikiki and Honolulu, so you can get around by Bus and Uber/Cab. It largely depends on how much you want to get around. Alternatively, consider renting a car for just part of the time and coordinate your excursions accordingly. We’d suggest you look at some guidebooks for ideas on where to stay and what to do. The best ones for Hawaii are the Hawaii Revealed series by our friend Andrew. You can pick them up at many libraries too. Hope that helps. Best way to assure yourself of a great trip is to do your own research. Period. Traveling on NCL POA next month. Found your initial review from 2014 that mentioned a future updated review after the dry dock but can’t find any updates on POA. Please help me find that article. We are celebrating our 25th anniversary and very interested in the update. Thanks!!! We have not written anything further. But we can tell you we’ve done the cruise twice, and totally loved it. Hope to do it again soon. Let us know how it goes for you. If you research ‘when to book flights’ most people will recommend 3-4 months from your travel dates. I booked also in March 2019 but flights are too expensive right now. You can get fare watches from sites like trip advisor or expedia too I think. Please tell me why San Jose to Maui is $102 more then San Jose to Kauai? Also why is it $24 lees to fly from Boston to Maui? Good point. We just report it, we don’t create it. Not really sure what the thinking was there. Agree to the recommendation for the Ultimate Kauai Guidebook, but the price listed ($72) is way out there! My fiancee and I will be visiting Hawaii in late October / November for our honeymoon, this will be both our first visit to Hawaii. We have already booked flights, but are looking at Hotels in the Islands of Oahu (Honululu) and Maui at the very least. Does anyone have any recommendations on the best sites / Hotels (Honeymoon Packages) to book, and what time would be best to book? Thanks in advance! We don’t recommend hotels. Prices across accommodation distribution channels are likely to be about the same. Therefore, which site you use probably won’t matter much. Watch out for fees, of course. Hello! My husband and I are planning a trip to Kauai in May. We want a mix of relaxation and activity and want to explore the island to the fullest. We are planning 12 nights on the island and can get a good deal for that time in Kapaa. Is that a good base location for general exploration? Or would we be better off taking the $$ hit and splitting our time between Kapaa and north shore somewhere? We are budget conscious. Thanks in advance for your thoughts! It’s all up to personal preference and budget. Kapaa is okay, but it certainly isn’t the north shore. One is a busy town and the other is an iconic vacation destination. You will have a great time either way. You can get to Hanalei from Kapaa in a half hour or so usually, depending on traffic. Changing locations sounds like a hassle, but again that depends on how you roll. I too, am planning a trip to Kauai (2nd week in April, 2019) Please explain the above…”one is a busy town, the other is an iconic vacation destination”…which is which! In one comment section (not sure which one, I’ve read them all I think!) You had mentioned that it might be wise to do “vacation rental vs hotel”.. help in this area too please! Thanks so much..this planning is very over-whelming! Kapaa is the busy town. Vacation rentals are enormously popular in Hawaii, so suggest you consider that. You can have more room, a kitchen, and the feeling of being away from the crowd among other things. A few thoughts. Pleasant Holidays has been a player for decades in Hawaii and does a good job. The same can be said for Hawaiian Airlines’ packages. You can also try Costco. Let us know what works out for you. I will be flying from Indianpolis Indiana on January 20, 2018 to Honolulu. Return travel from Honolulu to Indianapolis on January 26, 2018. I need a room at the Hawaiian Village. Can someone help me with how to book this the cheepest way?